Whenever I go to the Big Apple, I buy a can of Campbell Soup, each time picking a different variety amongst the many available on the market. I started this "tradition" becasue I like some of the pop art work made by Andy Warhol, and in particular the Campbell Soup Cans paint. I bought the first can in 1999, therefore I didn't buy a can in 1992 and neither I did in 2012 when I forgot to buy it. I could buy two extra cans in one of my next trips, and fix the problem, but... I don't know how fair it would be. 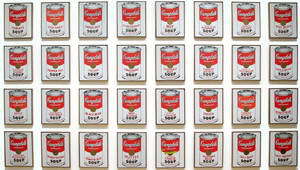 Campbell's Soup Cans at the MOMAFor sure I'll go on with the tradition, provided that going through security with a can of soup in the luggage will be always possible. 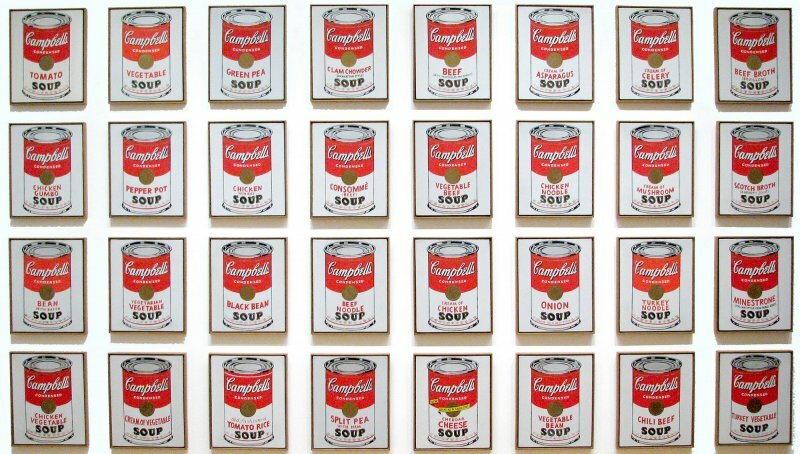 I went to the MOMA only once, and the Campbell's Soup Cans was one of the main reasons of my visit. I'll surely go there again in the future, I miss the view of the real thing! Speaking about tastes, I tried the onion soup sold in Italy by Campbell : not bad I could say, but.... like in most of the cases, my mum's home made version tasted better. That is surely what I miss even more.